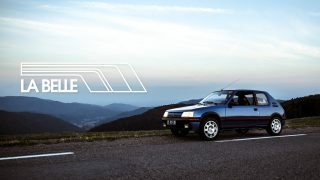 Peugeot courses through the veins of one French family in Bourgogne wine country. @ 1:36, the profile shot down the driver’s side of the car, arm hanging out, scenery in the background – pure “Dirty Mary Crazy Larry”. Bromley is a great guy. I met him at Willow Springs at a Dodge track event and introduced him to Petrolicious. I had no idea how interesting his story was at the time and how serious of a collector he is. Wonderful job on his story and video. great scenery/photograph in the video. Iconic car in mint condition. I still remember General Lee in the Dukes of Hazard!!!!!! If you go to the bottom right corner of your screen as you watch the video you will see the “settings” icon. It looks like a gear. Click on this and you will be able to add or subtract the subtitles. I just figured this out. Well worth it for the GTA. Great story. Enjoy. 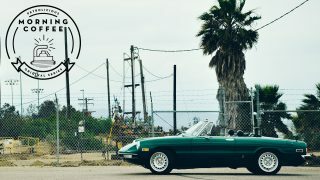 I’d be willing to bet that the folks who object to “product placement” as a way to garner a little revenue to support this site would be the first and likely loudest voices of objection should Petrolicious propose a modest subscription fee. The money to run a site like this has to come from somewhere. In my opinion you should think better about merchandising in the main video timeline. The Petrolicious viedos used to be atemporal. Not anymore. The “washing car” scenes are usually artificial and out of context concerning the overall plot. How much money is that worth? Selling your reputation? The “art” feeling of your prodictions? Please put merchandising out of the main video: don’t sell what makes you different from all the others. Love musclecars with manuals !! Beautiful car with a great story! 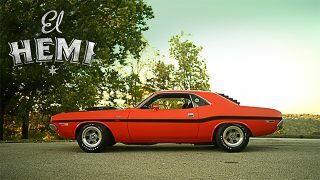 I hope petrolicious does some more mopar stories in the future!! Cool dude, very cool video, awesome car. I think the owner rocks. When I was in 5th grade, I went on vacation with my friend and his family in Muskegon Michigan. The family we stayed with had a similar charger with a manual. The roads were all sand and dirt and the dad of the house took us on rides drifting like the duke duke boys (whom Hadn’t happened yet). I was intoxicated and thrilled. Sure I love euro cars, but this car has passion. 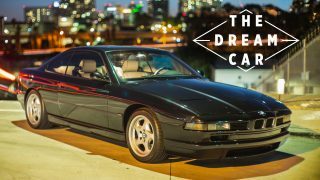 Thanks for a beautiful car story. Thanks for your story Bromley. You do lovely, lovely work. For once I am in Guitar Slingers camp , god how I love the sound of a V8 and being a Detroit boy I’ll bet that there are some who remember me that would fight me to death . But I gotta love speed, handling, and precision over big brut horsepower any day. Hat’s off to this guy, living the dream , building what he loves and enjoying life. Great film, great owner/builder, BH you are the man. Glass of red in the shop…..love it! The car too. OK, this guy is my hero. A total car guy and sipping a glass of red wine while working in his shop! To his health!! Serious Californian. Aerospace. Desert. Cars. Sometimes, wine. Great film. Think it represented the muscle car boys proper. It takes just as much work and craftsmanship to bring a dead Dodge back as is does a Alfa or a Porsche . Its not about weather you like the particular car being presented its about the respect car people have for one another. Porsche to Plymouth Ferrari to Ford. Car passion is the same for all of us that have the kootie. High praise to everyone who has been represented on this forum. As for the film makers. Thank you. A friend in H.S. back in my tricked out 65 Olds 442 days had one of these . Same color even . What a hoot and a holler that car was . But then … in my Sr year another friend loaned me his XKE for a weekend .. and thus ended my muscle car days once and for all . Still love em mind you .. just wouldn’t own one if you paid me .